With the only fulltime Mills CARES staff position cut to part-time due to budget constraints, several campus and community programs that are of great interest to many students may be affected, said CARES staff. Included in these programs, is the Halloween festival for children in the Mills community, alternative spring break, the community service fair, as well as the community service project for incoming students. According to Mica Miro, student program coordinator, the cut, made because of budget constraints, has created new resource restrictions, which is why these programs may be affected. “I find this particularly tragic because [these] events give students an opportunity to actively engage in on and off campus community,” said Miro. Moreover, Mills students value the supportive environment that CARES encourages and provides for the community. 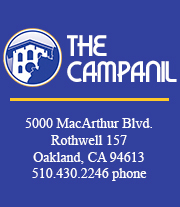 “I think its great that Mills CARES offers programs that enable and encourage students to experience more of what the Oakland community has to offer, at the same time, it is sad to see that this may possibly be taken away,” said sophomore Amanda Garcia. Not only do students and volunteers seem to value CARES support, but so do the CARES staff. “Mills CARES is a wonderful department and work environment, I’ve never experienced [having] so much support before,” said junior Teri Card. According to Leslie Townsend, service learning program director, the only alternative is to fund raises enough money in order to retain her full time position. However, Townsend added that she would work closely with the provost and their faculty advisory group to maintain the excellence and sustainability of the programs at CARES. Townsend also explained that it is important for students to communicate with college officials about how they feel as far as having programs, that benefit their education here at Mills.